This post is brought to you in collaboration with Betty Crocker, all opinions are my own. One of my favorite memories as a child was making Christmas cookies with my mom. In fact, that is how I spent my afternoon, making Christmas cookies at her house today. I try to carry on this tradition and make memories with my own boys, but I am not a fan of always cooking from scratch, that is what makes Betty Crocker my holiday hero. 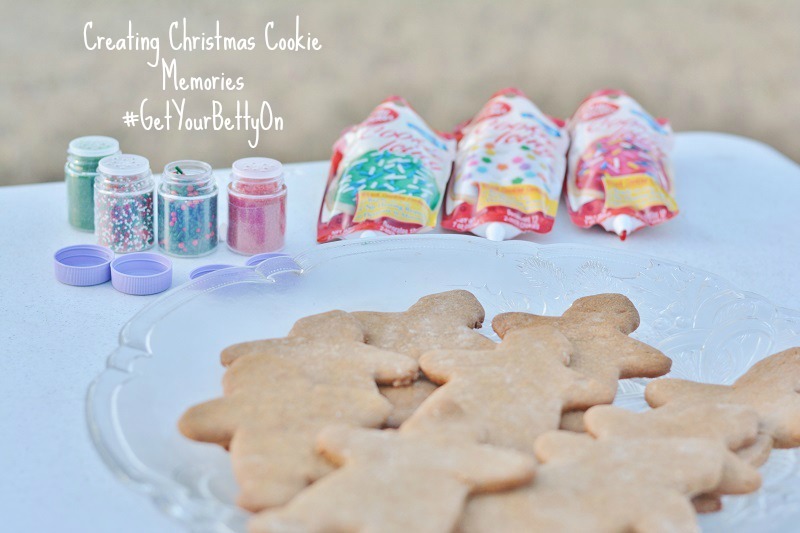 With their cookie mixes, cookie icing and other baking products, I can create Christmas cookie memories with the boys without making a huge mess! Over the Thanksgiving holiday when my sister was here, I rounded the boys, my mom, my one sister and my nephew to help make gingerbread cookies together. We baked them using the Betty Crocker gingerbread cookie mix and then took them outside to decorate in the amazing weather with various colors of Betty Crocker cookie icing and holiday sprinkles. I think they turned out great, and the memories of decorating Christmas cookies with three generations of my family are ones I will never forget! 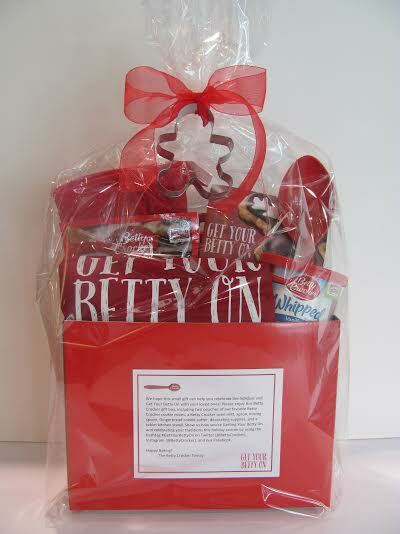 Betty Crocker has a wide range of cookie mixes and other baking products that make it possible to make plenty of holiday memories without a lot of fuss. Betty Crocker wants to help you get creating in the kitchen with your kids, so they have developed the Kid's Cookie Corner full of awesome cookie ideas like these 6 Santa cookie creations and these 11 no-bake Christmas treats to make with kids. Giveaway ends 12/25/14, and is open to US residents 18+. There are so many wonder lessons our children can learn from participating in family activities such as cooking together. My son and I do it on occasion and we love the food that we cook together! PS The cookies look delicious! We love making sugar cookies to roll out, cut and decorate. The kids love and they taste so yummy and make wonderful gifts for friends and family. Your cookies came out awesome. My kids love making and decorating cookies. Gingerbread men cookies are my favorite to bake with my grandsons! The kids and I make cookies together. Daveys favorite is Chocolate chip - Isa's is Sugar cookies. Makign cookies is a must do at Christmas time. We like making sugar cookies! My favorite are oatmeal scotchies, but that is primarily so I can eat handfuls of butterscotch chips while we make them. Our favorite cookies to bake are Snickerdoodles. I love to bake with my kids and we have so much fun decorating them! Gingerbread is one of my favorites. They all look so good! I'm planning to grab a few of those icing pouches for our Christmas cookies this weekend. FUN! We always make sugar cookies for the holidays. SO fun. We'll be baking this weekend! I like to make Christmas sugar cookies in holiday shapes. Hubs loves gingerbread cookies. I'll have to look for this mix in my store. I tried making some from scratch last year and we just made one giant one with the gingerbread giant cookie pan we have. It was fun. The cookies turned out great. We are going to make gingerbread cookies this weekend. Awe! Looks like you all had a blast making those cookies together! I still have to bake some for my family! We love baking sugar cookies with cream cheese frosting for Santa! How totally fun for all of you to be baking together like that. I've always loved to do it with my kids, even now! Baking together is such a fun holiday tradition! I love using Betty Crocker mixes to make things easier. We love to make sugar cookies and decorate them. We like to bake peppermint cookies. This had to have been a blast for the kids. I don't do too much baking at Christmas anymore because there is not a lot of people around to bake for. We do love fudge and a good sugar cookie. I love all your photos! Y'all did a great job! I love to bake sugar cookies with my girls! I love making drop cookies with my boys. Those are easy enough for everyone to handle since they're young. I can't wait until we move up to bigger projects. Don't tell anyone but I like the BC mixes too. What a fabulous giveaway. I enjoy making Christmas Cookies with my kids as well. When frosting with kids, and baking with kids, this is so necessary. I love that these come pre-made and ready to go. I love decorating cookies with my son! We've made gingerbread shaped cookies but never really gingerbread! I will have to get some of this mix, it all looks so yummy! We like making and decorating sugar cookies together. I love the photos and the aprons! It looks like you all had fun and the cookies look great! Gingerbread cookies are my favorite cookies to eat and to decorate. I am excited to make a batch of them tomorrow. Mmmm....gingerbread cookies are some of my favorites. I bought some of these the other night but haven't made them yet. That looks like you guys had a lot of fun. There is just something so comforting about baking. Sugar cookies are my sons favorite. We bake them all year long! But Christmas ones are special to us because we do them with my mom and cousins and save them for our holiday Christmas party! Sugar cookies are the best on Christmas! We just also have to make allergy free ones, too for my youngest. The cookie icing is SO easy to use! I just used it this past weekend! I like to do seven layer cookies. They are easy but have a lot of ingredients! My favorite to bake is Walnut Pecan Chocolate Chip cookies. We love nuts lol. Looks like you guys had a wonderful memory making session! I love the individual bags! We make gingerbread cookies but use a giant santa cookie cutter. We make them Christmas Eve for santa. We love making sugar cookies with the kids, they love frosting and decorating them. Iced sugar cookies for sure! But Russian Tea Cakes are tops on my list! My favorite cookie to make is cinnamon iced sugar cookies.